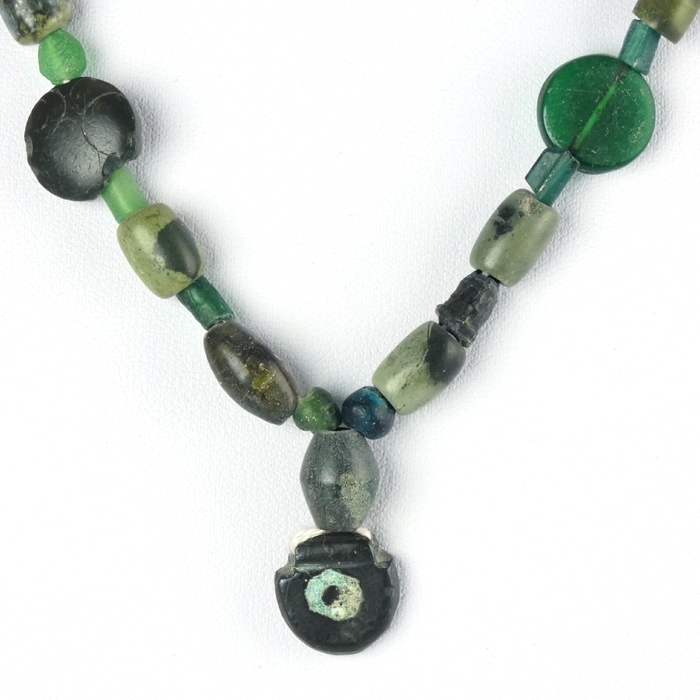 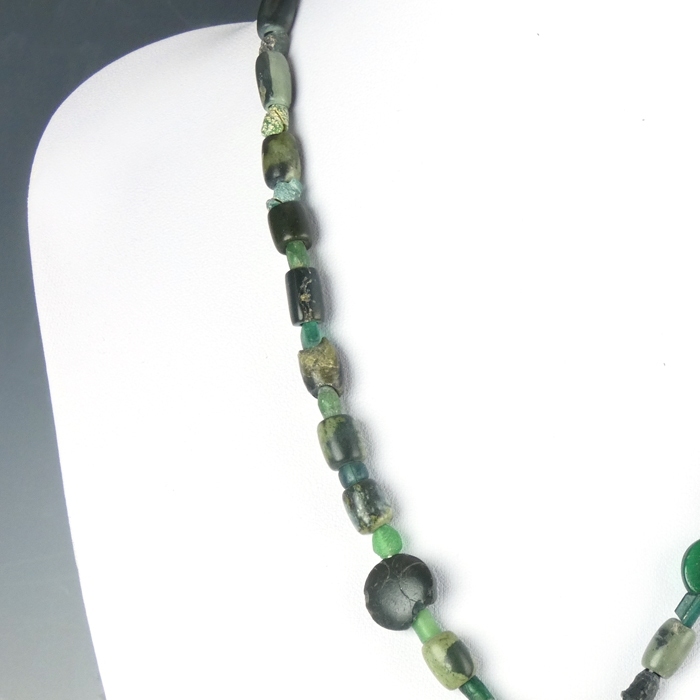 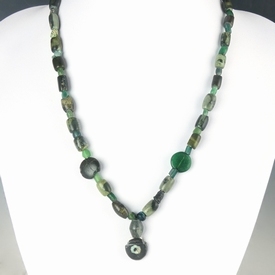 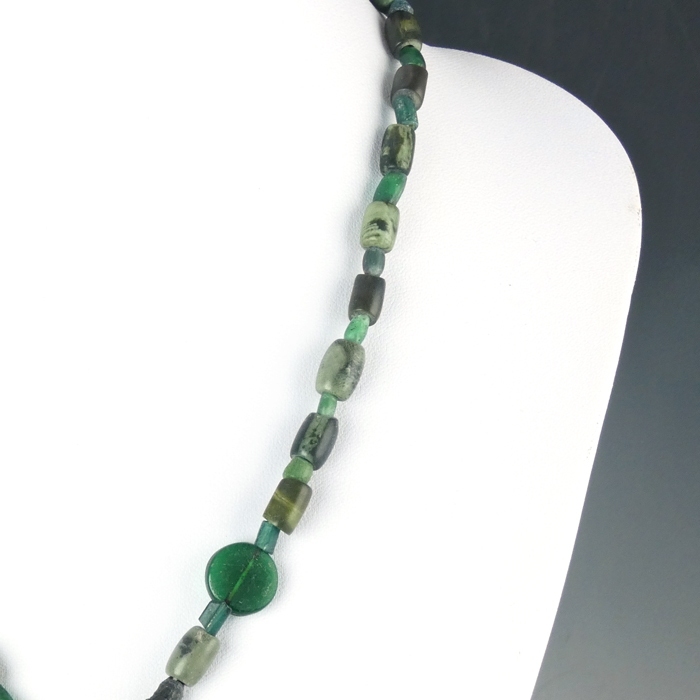 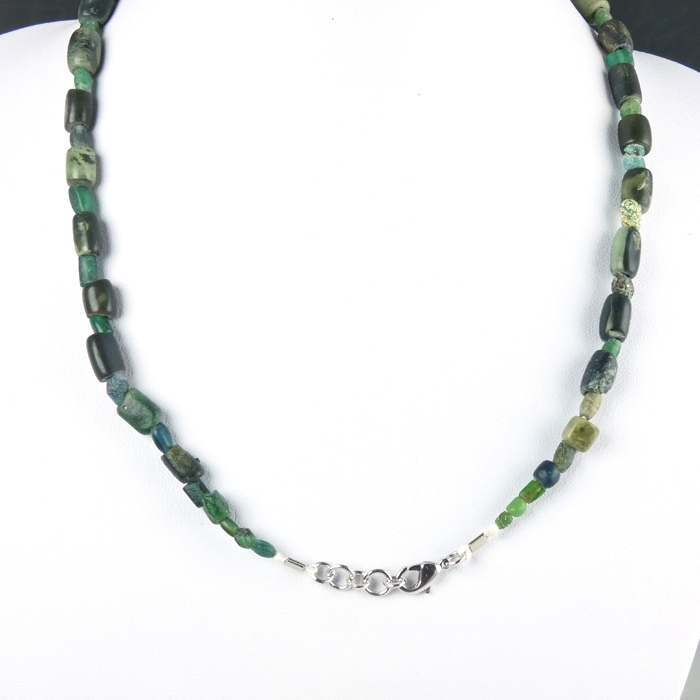 Necklace with Roman green glass and serpentine beads. 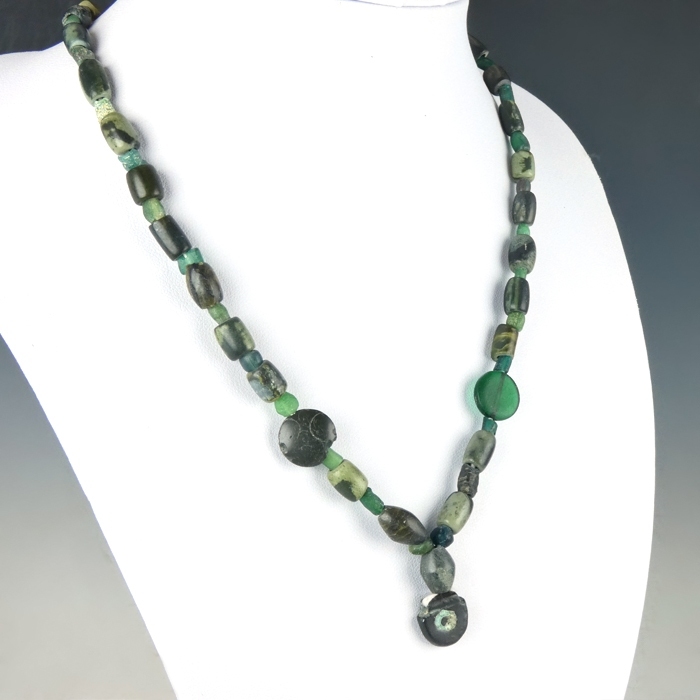 The central bead is hematite amulet with bronze inlay. 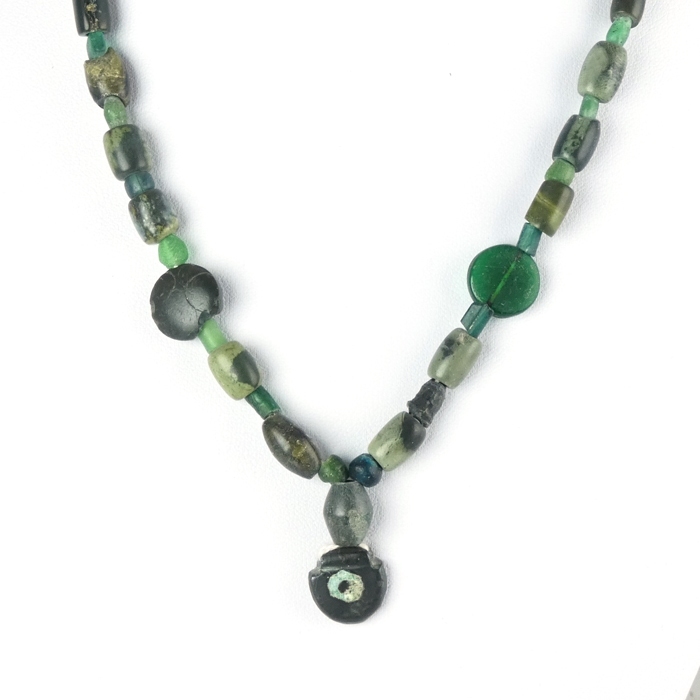 Restrung with authentic Roman beads and wearable (clasp).